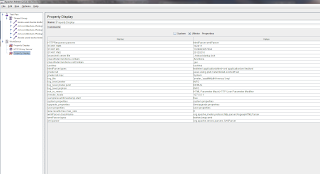 Getting Started with JMeter ,Selenium RC,WebDriver: GUI View - System / JMeter Properties. 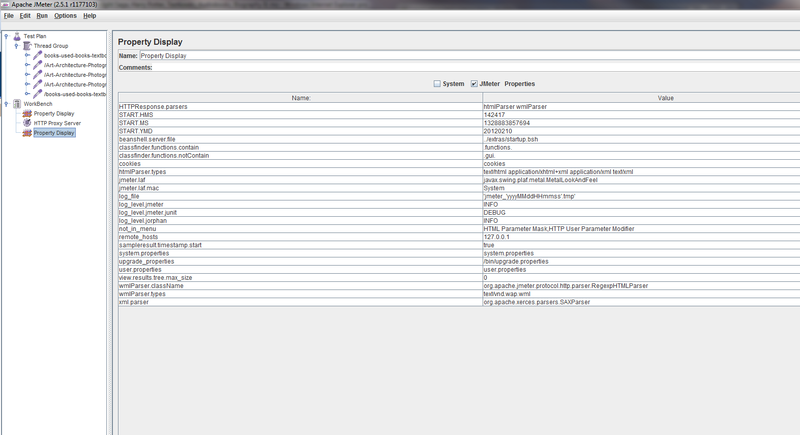 JMeter Properties let's us have a look at the Jmeter.Properties file that is placed within the bin folder of the jmeter installation directory you. It gives a nice GUI view as against the files being edited. To have a look at the Property file. 1.Right Click on the work bench. Will result in displaying all properties of the JMeter.You can select to view the system properties or the JMeter Properties.